They say that diamonds are a girl’s best friend. Even though we don’t want to encourage materialism, we really couldn’t agree more. What can be more beautiful than a gorgeous precious stone at the neck, wrist or finger of the one you love the most? Throughout the centuries, precious stones have been a symbol of gratitude, luxury, love and social status, among many others. These particular stones are praised all around the globe for their natural beauty, rarity and the power to be the ultimate accessory for both women and men. When we think about the notion of “precious stones”, the first one that comes to mind is certainly the diamond. But what others stones have a precious identification? What is the difference between precious stones and semi-precious ones? What makes a stone precious? We have gathered all the necessary information about our favorite jewels and have prepared the ultimate guide of precious stones for precious souls like yourself. Find out more about these exquisite pieces and see which precious or semiprecious stones suit your personality the best or that of your loved one. First of all, we need to clear up one of the biggest questions surrounding valuable stones. These types of stones are classified either as “precious” or “semi-precious”, depending on a few factors. The first criterion is, of course, rarity. The harder a stone is to find and prepare the more valuable it becomes. The stones that can be found more easily are in the semi-precious category and are, therefore, more affordable, but also less valuable. In addition to this, the brilliance, quality and color of the stones determine whether they are precious or semi-precious. Even though people believe that this form of classification dates back to early times, it was actually adopted around the 19th century. “The first use of ‘semi-precious’ to mean ‘of less commercial value than a precious stone’ can be traced back to only 1858.” according to Gem Select. Ever since then, both jewelers and customers have been using the terms to determine the value of lovely stones for various accessories, like necklace, pendant, bracelet, ring, beads or earrings pieces. If precious stones were described as a hierarchy, the diamond would be reigning over all as King (or Queen, depending on your preferences). Aside from being the most loved, popular and appreciated of all precious stones, the diamond is also the most valuable gemstone money can buy. The word “diamond” has ancient Greek origins (adamas), being translated as “unbreakable, invincible”. This is owing to the fact that diamonds are the hardest and strongest materials known to mankind and raw ones can only be altered by other diamonds. Scientifically speaking, “in mineralogy, diamond is a metastableallotrope of carbon, where the carbon atoms are arranged in a variation of the face-centered cubic crystal structure called a diamond lattice,” according to Wikipedia. The majority of diamonds are clear, but diamonds also come in blue, black, purple, yellow, brown , pink, or red varieties, just to name a few. This April birthstone is evaluated according to its carats and its color (generally from white to yellow). The purer and the heavier the carat weight of a diamond is, the more expensive it becomes. Throughout the centuries, diamonds have been the most popular choice for engagement or wedding rings, with meanings ranging from promises of love, affection and care to eternal gratitude and loyalty. Emeralds are the precious stones that stand out with their rich green shades. Also a popular piece of jewelry for thousands of years, emerald has Sanskrit origins, meaning “the green of growing things” (Marakata). Emerald grading is based on color, cut, clarity and carat weight parameters (commonly known as the “4 Cs of Connoisseurship), in order to determine how valuable the piece is. The May birthstone can nowadays be found in Columbia, Zambia, and Brazil, the first country being the world’s greatest supplier of emeralds. As far as names go, the precious green stones that are lighter in color are known as “green beryls” rather than emeralds. A fun fact regarding emeralds is that they are known as being one of Cleopatra’s favorite precious stones. Sapphires are one of the hardest minerals in the world, ranking in at number 3 after diamond and moissanite with a 9 on the Mohs scale. Even though sapphires can be found in various colors, they are generally associated with their royal blue shade. If you consult a gemstone meanings chart, you will find out that sapphires are a symbol of purity, peace, loyalty, serenity, faith and wisdom. Sapphires have denoted, throughout the years, as being a reflection of abundance and wealth, as well as upper class social statuses. Aside from jewelry, sapphires are used to create ultra-strong glass for industrial and technological applications. Rubies have always been defined through their red hue. The origin of the name actually translates to red (ruber, in Latin) and the precious stone is always associated with it. This fact leads to the symbolism of rubies: passion, love, affection. In history, rubies are reported to have been used to protect Hindus from evil and they also served as trademarks for Chinese warriors. The shades of rubies can vary, ranging from light pink to darker red. The richer the red shade is, the more valuable the ruby becomes. Purple and orange are additional secondary hues, as well as pink. Rubies are evaluated using the same four Cs we explained above, as all precious stones are. For those who do not possess the necessary budget to purchase precious stones, semi-precious ones on sale are a fantastic alternative. Semi-precious stones can be a gorgeous sight to witness, with rich hues and sparkling details. 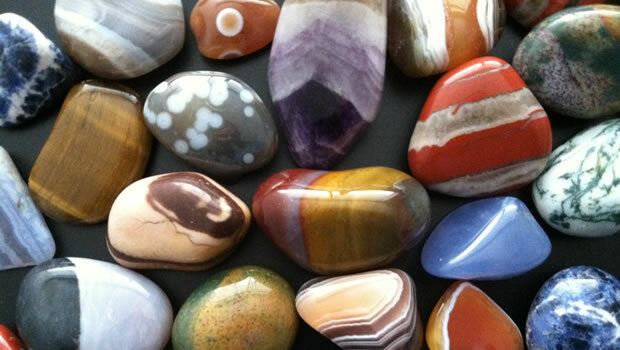 The great news is that there are countless wholesale suppliers that provide semi-precious stones for accessible prices. There are very many precious stones out there, most complete lists pointing out around 150 varieties. We are going to list some of the most popular semi-precious gem stones and a few details for each one. For more information on semi-precious stones and crystals in general, you can consult books such as The Crystal Bible. Although most of have heard of amethyst and know its a semi-precious stone, did you know it’s actually violet coloredquartz. Amethyst can actually be several colors ranging from pink to dark purple. It is mined primary in Brazil and Uruguay but it is found in many places in the United States. Because it is fairly common it doesn’t command high prices. It is the birthstone of February. Blue topaz is the birthstone of December. Topaz is found in many colors including red, yellow, pale gray or reddish orange but pure topaz is actually colorless. Blue topaz is highly sought after and is quite rare. Did you know that gray or light blue topaz can be treated with heat and radiation to darken it to a more desirable shade of blue. Because of it’s popularity and time it takes to treat colorless topaz to reach the right color it’s gone up in price recently. Aquamarine is related to the emerald but it is almost entirely free of flaws and is much more evenly colored. Because it’s about an 8 on the hardness scale it is extremely durable so it’s very wearable. It is the birthstone of March and it doesn’t vary in color much. It is most commonly pale blue green to deep blue green. Aquamarine is mined in Brazil, Madagascar and Zambia but it can be found in several other places around the globe. Tourmaline is a curious little semi precious gem. It varies greatly in color but it’s most common variety is called Schorl and it is gray/black because of high concentrations of metals like aluminum, iron, magnesium, lithium or potassium and has magnetic properties. However, varieties like Rubellite are red to pinkish red, Indicolite deep blue, Bi-Color Tourmaline is a strange two tone color going from pink to light blue. Depending on the color and clarity tourmaline can be very expensive. In is found in the U.S., Brazil, Africa and Afghanistan. Tanzanite is one of the most brilliant gemstones. It’s varies very little it is usually a deep violet or purple depending on lighting. The gem was named by Tiffany and Co. after Tanzania the country in which is was discovered. It is extremely rare and very desirable both because of it beauty and rarity. If you want to impress your wife or girlfriend buy her a Tanzanite necklace, ring or earrings. You’ll be hit we promise. Many people believe that garnet is one semi-precious stone, but it actually represents a series of minerals. They can be found in all sorts of colors (like orange or green), but people tend to associate garnets with a dark red shade. It is the birthstone of January and is known to be wonderful for those who travel and go on adventures. In addition to this, garnets are connected to empathy, as well as building up self-esteem. A surprising fact about amber is that it actually comes from pine trees in ancient times, being a type of fossil. It usually comes in a gorgeous orange color, but can also been found in green or blue varieties. On a spiritual level, amber supports positivity in life and encourages optimism. We believe that its symbolism is strongly connected to its warm and welcoming color. A pure black semi-precious stone, onyx is connected to the agate and quartz (chalcedony) families. It a strong crystal, both literally and figuratively, and symbolizes confidence, discipline and strength for the person who wears it. Additionally, it serves as a very elegant piece of jewelry that can be worn on special occasions. 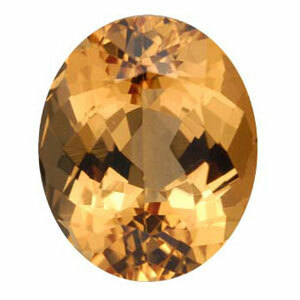 Another colorful and popular semi-precious stone is topaz. It comes in a great number of colors, but the most expensive and sought-after type is the Imperial Topaz (characterized by its yellow hue). Other kinds of topaz are: Blue Topaz, Sherry Topaz, Azotic Topaz, White Topaz, Sherry Topaz, Mystic Topaz or Rutilated Topaz. It is the birthstone of November and is recommended for artists, as it promotes creativity and expression. J Jade is most well-known for its presence in the Chinese culture, among many others. Like in the case of topaz, the most appreciated type of Jade is the Imperial kind, defined by a rich green color of Jadite. Aside from Jadite, the second primary type of Jade is Nephrite. Spiritually speaking, jade is praised for protective properties and the power to ward off negative energy. Quartz comes in numerous shapes, sizes and colors. One of the most popular varieties of quartz is certainly rose quartz. It is generally found in a lovely shade of light pink and is thankfully accessible for almost all budgets. This is owing to the fact that this semi-precious stone is quite easy to find and is used for jewelry and hand-made enthusiasts all around the world. Like the majority of semi-precious stones in this color, rose quartz is known to promote passion, love, emotions, and compassion, among other feelings of that kind. When we talk about opal, one of the first aspects that should come to mind is that it is the national stone of Australia. This is owing to the fact that Australia is the world’s largest supplier of opals, covering almost all sources of opal on the planet. Associated with battling depression and supporting creative endeavors, opals come in numerous varieties. Some of the most popular types of opals are Fire Opal, Boulder Opal, Chocolate Opal, Black Opal or Moss Opal. Like amber, jet is a semi-precious stone that forms on the basis of wood. 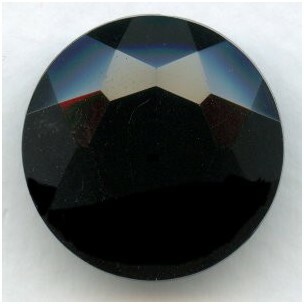 Jet is a very popular stone thanks to its very dark gray and black hues, hence the term “jet black”. It was very praised during the Victorian times and was even adorned by the Queen herself during difficult situations and loss. It is known to help the bearer overcome a grieving process and it has strong protective properties. Jet is widely used for intricate pieces of jewelry, especially necklaces. The Peridot is easily recognized thanks to its shade of light green. This is a representative piece for the semi-precious stone family ever since the beginning of mankind, the name “peridot” meaning “gem” in Arabic. This stone also promotes healing values such as emotional recovery, a sense of safety and confidence in oneself. Peridot is also known across the world as being the birthstone of August. The Moonstone stands out among many other precious-stones through its beautiful light illusion. It has a strong mythological background and is associated with countless legends. Popular belief places moonstone is the “love” category, especially when it comes to couples and issues in the bedroom. It is a gorgeous stone to wear and comes in varieties such as Cat’s Eye Moonstone, Star Moonstone or Rainbow moonstone. Remember “Eye of the Tiger”? You will be pleasantly surprised to see that the semi-precious stone with the same name actually has something in common with the world-renowned song. 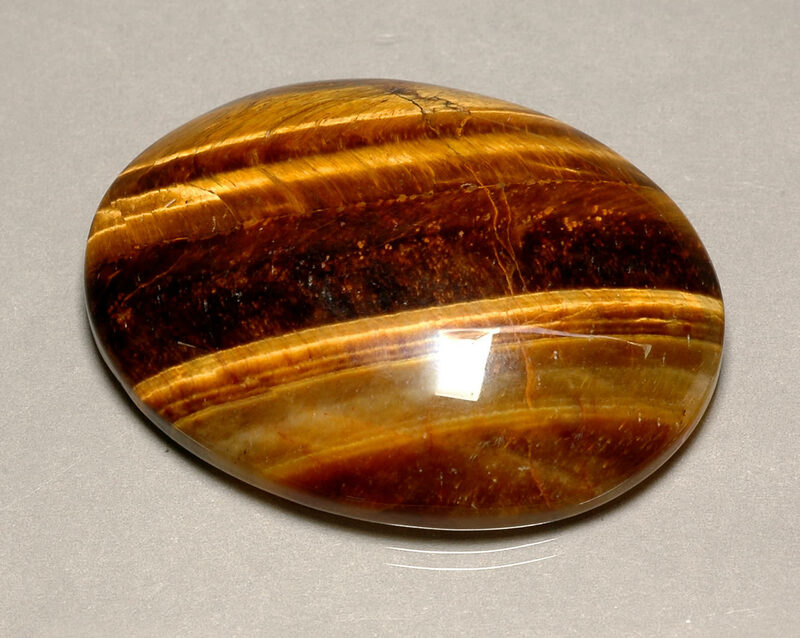 This stone is a form of quartz and received its name from both its shade (similar to the color of Tiger fur) and the illusion of being a Cat’s Eye. Tiger’s Eye is associated with power, especially from a physical point of view, so we can understand the meaning a lot more now. Another type of quartz that is increasingly popular is jasper. It stands out from the others through its intricate patterns and lush opaque shades. 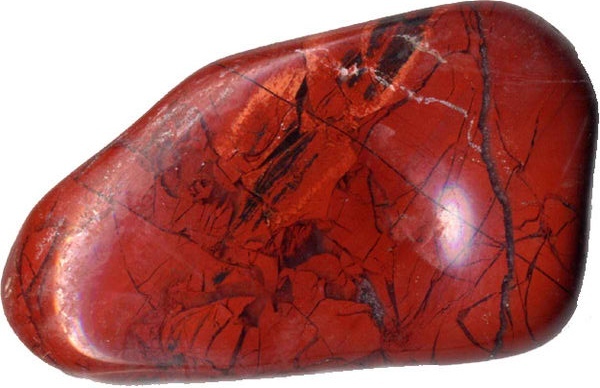 Another main difference is that jasper can be found in very many colors and is not strictly associated with a single hue. If you are undergoing a challenging situation in life, you might want to consider using jasper to help you overcome your troubles. For more information about the Metaphysical Properties of Stones read our guide. Photo credits: Featured Image, 1, 2, 3, 4, 5, 6, 7, 8, 9, 10, 11, 12, 13, 14, Graffdiamonds.com, Ritani.com, Sanchezinternational.com, Imgkid.com, Gemstonebuzz.com. Hey Buddy!, I found this information for you: "Precious Stones for Precious Souls". Here is the website link: https://accessgems.com/precious-stones-precious-souls/. Thank you.